Most of the following dates and names have been found by searching through old Belfast & Ulster Street Directories held by the Linenhall Library, Belfast Central Library and the Public Records Office of Northern Ireland. The years given therefore are approximate and depend on how information was collected to make those directories. 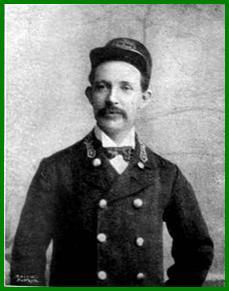 Hans Magee died in service 3rd September 1888 having performed 38 years service with the company. With face both wane and sober. Would set dull hearts half crazy. As seasons still keep turning. Charles McLaughlin was a well loved character on the railway and was much missed when he died at Station House on 12/9/1928 after a period of serious illness. He was aged 59½ years and had completed 38 years service with the company. “His familiar, genial figure will be missed for many a day by the users of the line. He was a smart, and courteous official, possessed of a genial disposition which made him very popular with the public”. In October 1928 the Senior Porter William Thompson requested consideration for the position of Stationmaster. He appears to have been unsuccessful as by 1930 James Taylor was in the position having moved from Tullymurry were he was Stationmaster. Dundonald station closed in 1950 when much of the former BCDR system was shut down. At this time the UTA classified Dundonald as a ‘halt’. This meant although it was still a manned station it did not have a stationmaster of its own. (Instead a foreman or senior porter would have been in charge). Dundonald’s ‘parent’ station was Comber, which also closed at the same time. The last stationmaster at Comber was Mr Samuel Johnston.